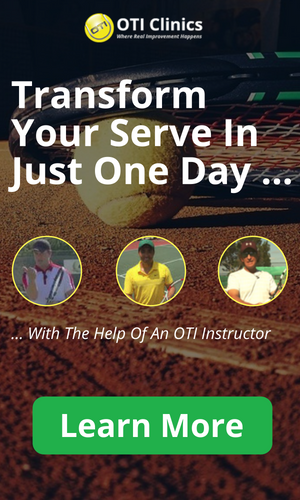 My name is Nadim Naser and I am a long-time friend of Florian and the first certified OTI instructor, teaching the OTI methodology year-around in Ft. Lauderdale, FL to athletes like you. I competed at and coached nearly all levels of tennis in my career up-to date. During this time nothing has given me more fun and passion than working with highly motivated adults for the past 8 years, who want to take their tennis game to the next level and become the best they can be…regardless of age or current level of play! Thanks to OTI and Florian’s vision to bring the best possible tennis instruction to adult athletes worldwide, I was introduced to P.J. Simmons, the creative founder of the US Tennis Congress and unbelievable human being. The US Tennis Congress is a revolutionary event in the tennis industry and the first and only of its kind. It brings hundreds of the most passionate adult tennis players, who truly want to improve their game and become the best they can be, to learn from the best tennis coaches, instructors, mentors, grand slam champions, the game has to offer in a 3-day event. 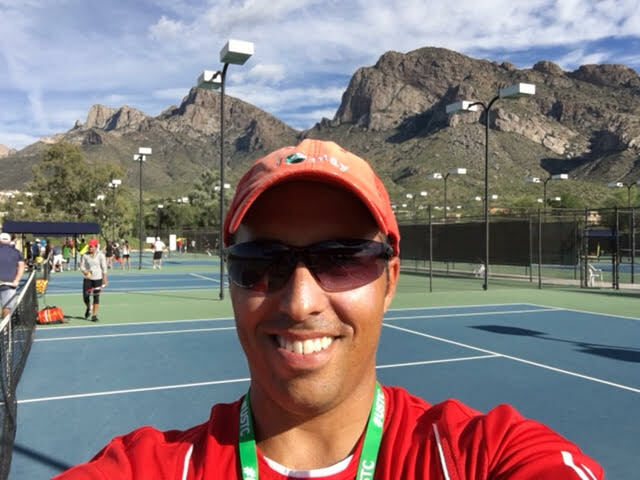 I was invited to be part of the 2015 US Tennis Congress in Tucson, Arizona this October thanks to Florian’s fantastic job at the last two Tennis Congresses in 2013 and 2014. I want to share with you some of the most valuable lessons I have learned during this incredible event. 1) Check your Ego at the door – Everyone wins! I have never witnessed so much passion and love for the game WITHOUT the huge egos in play. The faculty, made up by true industry greats…and me, interacted and collaborated like friends would, and pushed each other to become better as coaches. 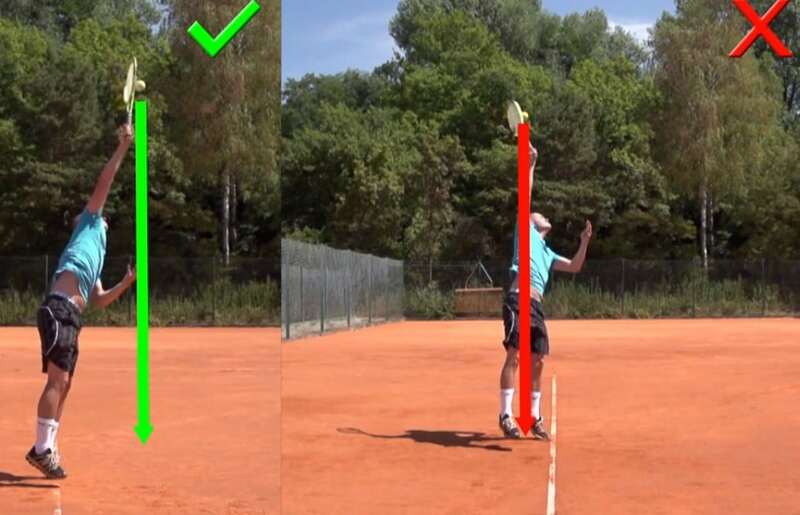 This in turn allowed us all to share our experiences and knowledge with one another and most importantly passed it on to the most passionate and enthusiastic adult tennis players I have ever seen. The adult athletes who attended received the best possible tennis education one can ask for because of that level of involvement from the coaches. Please keep in mind, the adult athletes who attend this congress are gurus in their respective industries as well, but just like with the faculty, you couldn’t tell! Again, no egos here! In 30+ hours in 3 days of on-court and classroom instruction and presentations, every athlete walked away with not only their best time in tennis but a wealth of knowledge you couldn’t get anywhere else but here. Regardless of what you wanted most, you learned it here. I thoroughly enjoyed this experience and cannot wait until next year to do it all over again. Thanks again to Florian Meier and P.J. Simmons. Note: Private lessons with OTI instructor Nadim Naser are available year-round in Florida. Florian personally trained Nadim to teach the OTI system. Click here to learn more about private lessons in Florida with Nadim.